It’s a difficult balance. 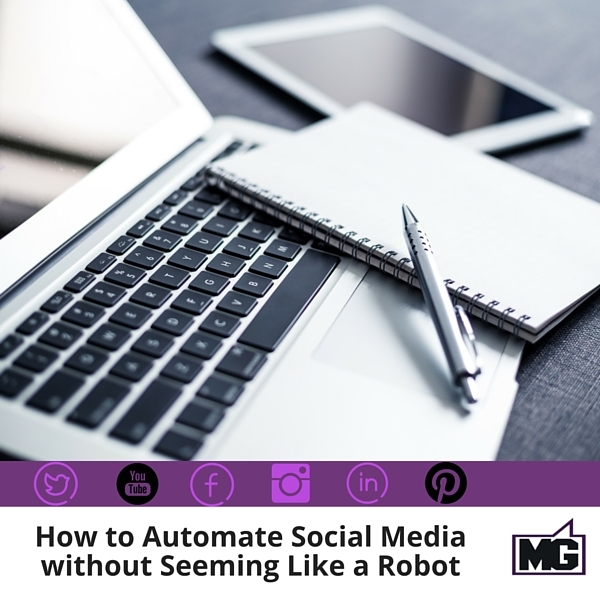 Automating social media can save you a lot of time in your busy schedule. But social media is by nature a social, personal platform. Too much automation can cause you lose that personal feeling that’s so important to social media interaction. People don’t want to interact with robots! But we understand that automation is very useful. With your busy schedule automation helps you establish a presence without dedicating hours and hours to social media. But timely, live posts have an excellent value. A mix of automated posts and live posts will help you develop an exciting social media presence. Here are some tips to help you strike that balance. You won’t have social media success if you’re not posting at least once a day on each platform. Be willing to learn about social media platforms and use the ones that are best for your industry. Take some time to learn how users make their posts personal and human, and do the same for your posts to add value to the conversation. You may only need to use 2 or 3 social media accounts, which is perfectly fine as long as you invest time in those accounts. Different platforms have slightly different tones, styles, and rules. Hashtags are very popular and useful on Twitter, but they work differently on Facebook. If you’re creating content ahead of time, be sure to write each post a little differently for each platform. Twitter has a character limit you have to follow while Facebook allows a little more room for detail. Match the tone of your posts to the platform you are posting on. If you’ve scheduled posts for certain times of the day, make sure that you’re ready at that time to respond. The best practice is to respond as soon as you can when there is interaction. If you wait too long, you’ll be out of sight and out of mind. Auto direct messages feel like spam, and sound like robots, no matter how you word them. “Thanks for the follow, check out my Facebook.” Don’t do that. Auto direct messages are annoying to Twitter users. Be flexible in your content creation so that you can add your voice to relevant breaking news or trends. People can tell if all of your posts are automated. It’s also very important to do some quick research on trending hashtags to make sure you know what you’re talking about. Hashtags’ meanings can change, and their meanings are not always obvious. Experiment with multiple automation apps and choose the one that works best for you and will make you sound human. Be on the lookout for new apps as well. These are some basics to help you use automation wisely and effectively. Any questions? Here’s the full blab with Jessika, Ravi and I. Enjoy! Remember, you can join Jessika, Ravi and I live on Blab every Tuesday afternoon at 2pm for Magnet Marketer Blab videocast online.